My kids often use a hundred chart on paper. But, sometimes it’s fun to go a little bit bigger. 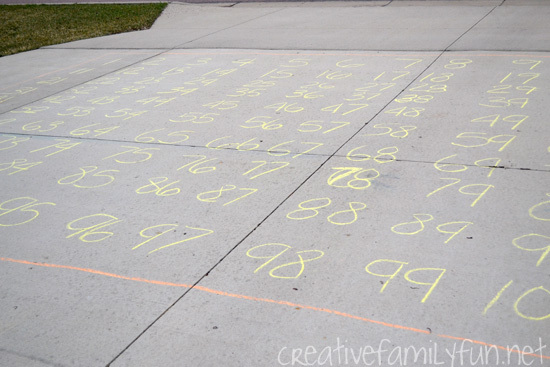 While my kids were at school one day, I ran outside and created a giant hundred chart on our driveway so we could play a fun hundred chart game. I couldn’t believe how excited they were to see it. And, I love that they still get excited about things like this! 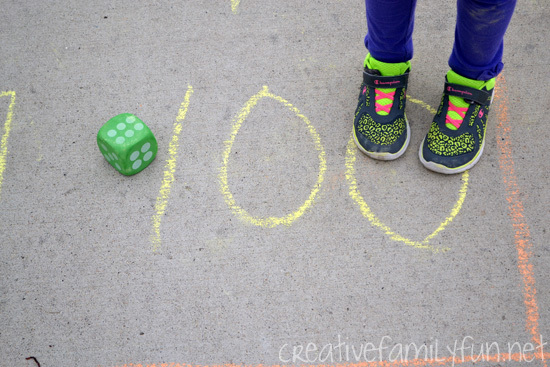 All it takes is some sidewalk chalk, a large portion of concrete, and some elbow grease to create your hundred chart. You’ll want it set up exactly as the paper form that your child is familiar with. You need 10 number across and 10 numbers down. I did not create a grid, just wrote out all the numbers. Make sure you leave plenty of room for your kids to hop, skip, and jump! You can use a driveway hundred chart in so many ways. Each person started at zero. They threw the dice and moved that many spaces. The first person who got to 100 won. It’s that simple. While they were at it, my girls were learning number order and simple addition. You can also play a slightly different version by going in the opposite direction, “Race to Zero.” Start at 100 and go backwards. Now you’re working on subtraction. 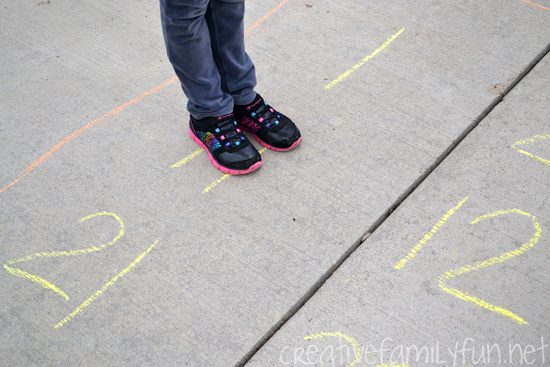 There are so many other ways to use a driveway hundred chart. Let your kids walk, jump, or skip their way through the chart while saying the numbers out loud. Walk your way through addition or subtraction problems. It’s a fun way to practice your math facts. Practice your multiplication tables. Jump your way through the 2’s or 3’s or 4’s or… you get the idea. Jump from 3 to 6 to 9 to 12 all while reciting your threes multiplication facts. Sometimes kids just need the movement to help them learn these things. 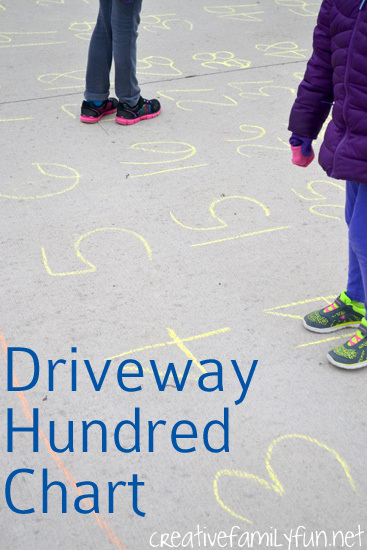 I’m sure if you and I kept brainstorming, we could come up with many more versions of this fun driveway hundred chart game. Do you have any fun ideas? Leave them in the comment section. I’d love to see them!